Treasure Trove of Life Wisdom from the Energy Family – I realized that life could be so beautiful! 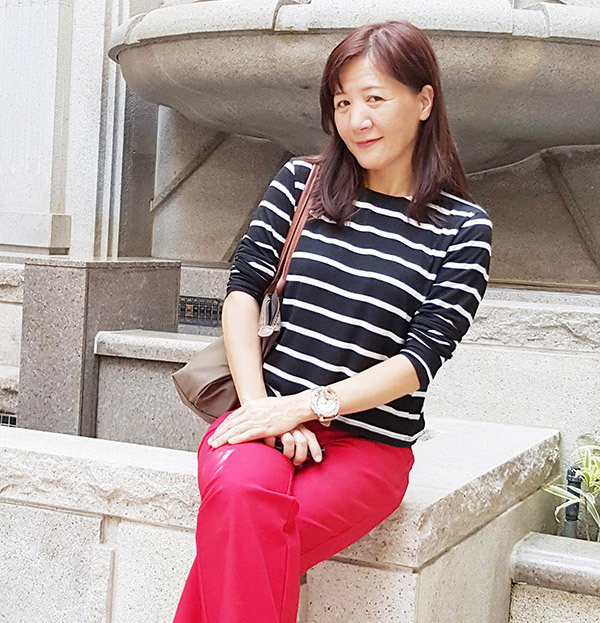 she moved to Kaohsiung by herself, where she studied and worked at the same time to create her own life. When she was 22, Yuling's dad committed suicide. She went home for her dad's funeral; however, she did not have any feelings of sadness at all. At the age of 23, Yuling started her own business. In the beginning, her business went pretty well, and the success made her proud as a peacock. However, later on, some of her customers failed to make payments; consequently, she had trouble keeping her head above water. Her life became miserable, and she had problems sleeping at night. She suddenly realized that something was missing in her life. At 31, she had a huge amount of debt and got married. "My husband and I thought very differently. My life became even harder after I got married. Additionally, I needed to take care of my elderly mother and little son and pay my debt. It's so unbearable to look back on those days," said Yuling. "Despite all this, the greatest pain was that there was a hole in my heart." Yuling often thought about her estranged dad and thought to herself. "What should I do to get my life balanced? What's the meaning of my life?" In order to find the answers, she read many books, tried various religions, and took all kinds of courses for spiritual growth. All these efforts seemed to help her make some progress, and she seemed to become stronger to face her life challenges, but she still had trouble falling asleep. There was still a hole in her heart, and the pain became even greater. "When I joined Tai Ji Men, all I wanted to do was practice qigong to keep myself healthy. I just gave it a try and didn't expect much," said Yuling. Surprisingly, after practicing Tai Ji Men Qigong for about a month, she could fall asleep. Her insomnia, which had bothered her for more than 20 years, went away. As a result, Yuling became more energetic and looked healthier, and her work performance got better and better. She was ecstatic and amazed! When Yuling first joined Tai Ji Men, the Grandmaster Dr. Hong, Tao-Tze told her, "Don't be so depressed. Learn to make yourself happier." At that moment she suddenly realized that she was a person who easily got depressed. Through practicing Tai Ji Men Qigong, Yuling finally found a way to love herself. She followed the grandmaster's advice to look at things from different perspectives when dealing with others. Yuling said, "I am very thankful that I joined Tai Ji Men. It was still not too late to change my life at that point. My heart hasn't been so happy and fulfilled."